The case of Maltese EU Commissioner John Dalli, who was forced to resign last year, may now lead to a brand new scandal. So much so that German MEP Ingeborg Grassle, of the European People’s Party, recently called for the resignation of Giovanni Kessler, the director-general of OLAF, the EU’s antifraud office. You may remember the “Dalligate” scandal of last autumn, when José Manuel Barroso, the President of the European Commission, sacked the EU’s health commissioner in the span of practically 45 minutes. 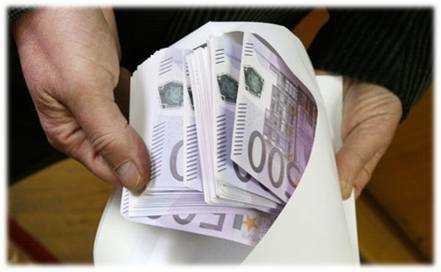 This was after an OLAF investigation found that the Maltese politician was aware that a Maltese businessman, Silvio Zammit, had asked for a bribe of EUR 60 million (in Dalli’s name) from a Swedish tobacco company in exchange for lifting the EU’s ban on snus, a form of tobacco. At the time, Barroso said that Dalli, who denies the allegations to this day, had offered his resignation, but the Maltese ex-commissioner denied this as well. Moreover, press reports claim that Dalli was not even allowed to learn more about the details of the charges against him before his (forced) resignation, and was also not allowed to consult with his lawyer. OLAF merely said that they have “unambiguous circumstantial evidence” against Dalli. OLAF’s charges were based on the fact that Gayle Kimberley, a lobbyist for tobacco firm Swedish Match, a distributor of snus, had met with Dalli on two occasions. It was following the second meeting that Kimberley received an offer from the above-mentioned Silvio Zammit, saying that he would help grease the wheels for EUR 60 million. Complicated? So it is; but the story has taken a new turn in recent days. The communications director of Swedish Match now claims that their lobbyist Gayle Kimberley lied about the second meeting, which never even took place, and OLAF essentially persuaded her earlier this year to conceal this information from the European Parliament. These developments came to light after the communications director spoke about the case to José Bové, a Green MEP from France, who recorded the conversation and subsequently played it at a press conference last week. The next day, Ingeborg Grassle, an influential MEP of the European People’s Party (EPP), called on Kessler to resign. OLAF’s Italian director-general has also been recently accused by a member of the office’s supervisory board of conducting illegal phone taps. OLAF denies the claims. But the real twist in the story is that OLAF’s supervisory board had prepared a (classified) report on the office’s work on the Dalli case, which was sent to the heads of the three EU institutions. Neither of them has made the content of the report public. Martin Schulz, the President of the European Parliament, has allowed the leaders of the EP’s political groups a peek into the report, under strict confidence (without allowing notes or photos to be taken), but they have also kept silent. What could be the reason? What could be in the document that is so sensitive? Or is Schulz just biding his time before making it public? Is it possible that OLAF acted on political orders? Or were OLAF and/or Barroso misled? Who is the real culprit: Barroso, Dalli, or the tobacco lobby? EUrologist and the European Training Academy hardly dares to imagine the consequences should the supervisory board report be made public, so we are offering a handful of snus to anyone who sends us a copy of the classified document!